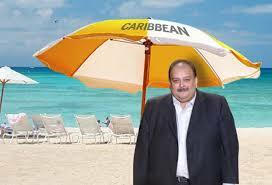 It's the Leroy King scandal all over again; a prominent fugitive from international justice, India's most wanted financial fraudster, the billionaire Mehul Choksi, having obtained a CBI passport in Antigua, is openly living a lavish lifestyle there. He has been boasting that he is protected by senior officials in the Antiguan government, and is enjoying fine dining there, and all that Antigua has to offer. 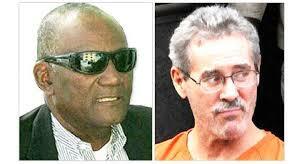 What happened to PM Gaston Browne's statement that Antigua extradites it foreign criminals ? Leroy King is proof positive that such statements are outright lies. Informed sources within Antigua have confirmed that Choksi reportedly paid USD$2.5m for his CBI passport, which was obtained when anyone who searched the Internet would have learned of his involvement in criminal activities, as Indian media has repeatedly asserted. Also, India's principal law enforcement agency denied that INTERPOL had ever been contacted it about him, which conflicts with Antiguan assurances that it cleared him prior to the issuance of a passport. It is doubtful that Antigua's CIP Unit did any more than check for a Red Notice online, which constitutes compliance malpractice. Apparently, the Government of Antigua is betting that its unexplained delay in extraditing this master criminal will be ignored by both the United States and the EU, as his crimes occurred in Asia, but the US is reportedly looking into the matter. Sources in Antigua have also reported that Choksi moved some of his illicit wealth through Antigua, using locally formed companies; inasmuch as the American financial system probably had a role in the transference of funds, which invokes US jurisdiction for, among other things, money laundering. The Antiguan attorneys who formed those shell companies might want to consider engaging their own lawyers at this time, given the international attention given to the Choksi case. Choksi has been a familiar figure in Antigua of late, but as he is currently unescorted, will he be detained, and removed to face justice in India ? We cannot say, but his fellow fugitive Leroy King, wanted in the US for a decade, in the Stanford International Bank scandal, has 24-hour bodyguards, protecting him from being taken to Texas, to face a Federal criminal trial. We wonder if Mr. Choksi believes the promises of protection, given to him by some officials in Antigua's leadership, are real.